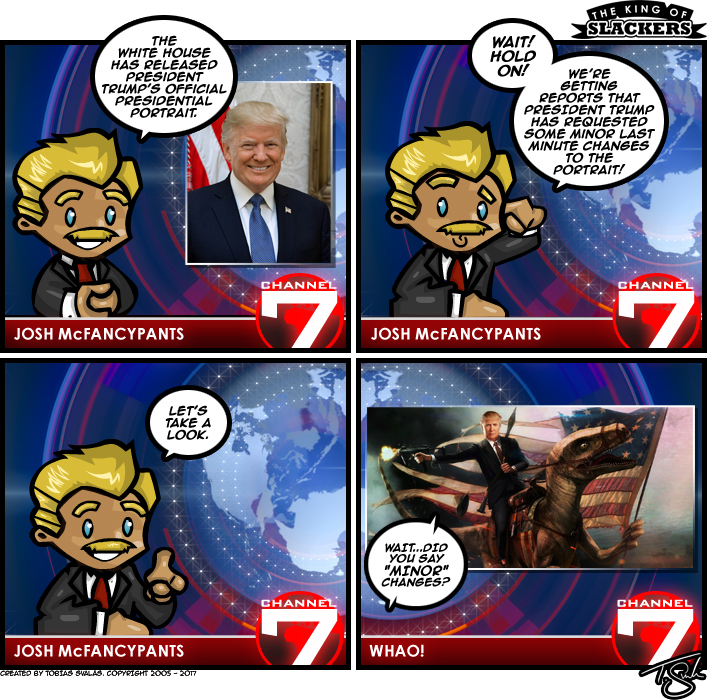 Also, it’s been AGES since I made a Josh McFancypants comic strip! So his studio got a bit of a makeover as well Turned out pretty good if you ask me. They toned down the orange for the portrait huh?